The 22nd Congressional District, which includes most of Fort Bend County, has long tilted Republican, but Democrats see an opportunity to change that by reaching out to thousands of non-voters in ethnic communities. 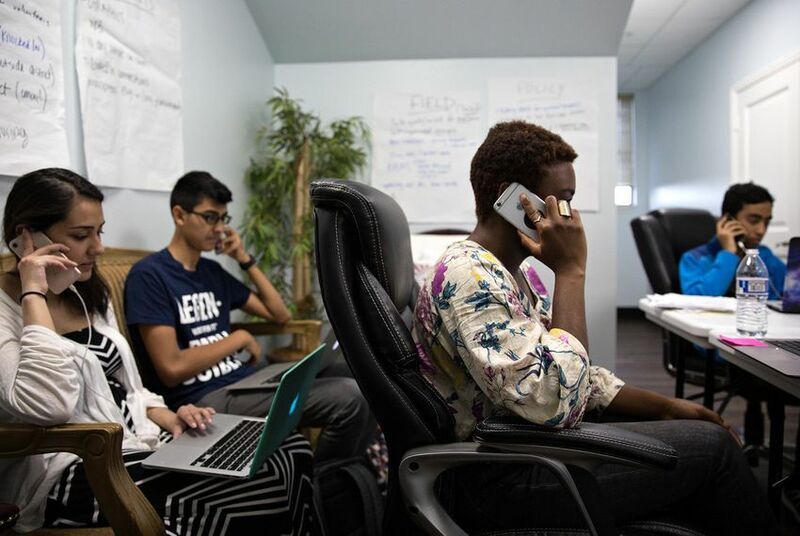 SUGAR LAND — At a glance, volunteers at Sri Kulkarni's campaign headquarters are no different than those for congressional campaigns across the country — huddling over laptops, tapping voters' numbers into their cell phones and concentrating on the call scripts in front of them. Kulkarni and Letitia Plummer are vying in Tuesday's Democratic runoff to take on U.S. Rep. Pete Olson, R-Sugar Land. Though President Donald Trump won the district by 8 percentage points in 2016, both Democrats see it as vulnerable, in part due to demographic changes — the same shifts that both candidates are using to their advantage. The district includes most of Fort Bend County, one of America’s most ethnically diverse counties: 20 percent of its residents are Asian, 20 percent are black, 24 percent are Hispanic and 34 percent are white. Clinton won the county decisively in 2016. Kulkarni, a former U.S. Foreign Service Officer, has focused his campaign on groups of voters that he thinks will help bring about a local "blue wave" in November — particularly Asian-Americans and Latinos, who have had low voter turnout in the past. When they've gone block walking in minority neighborhoods, Kulkarni and his team said they've noticed a sense of gratitude mixed with shock because campaigns have so rarely engaged those areas. Kulkarni's campaign has translated his website into Spanish and Chinese, visited local temples and mosques and arranged appearances with media outlets that cater to Latino, Pakistani, Bangladeshi, Chinese and Indian communities, including Hindi/Urdu, Telugu and Malayali talk shows. One of the campaign's youth volunteers, Nathan Troung, said many of the volunteers who are part of the Asian-American/Pacific Islander community recognize that their respective communities have low voter turnouts — and see the campaign as a way to help change that trend. “Just by the fact that Sri has been able to amass volunteers that engage in those communities in their own languages and their own cultural understandings, I think that does bring a lot to the table,” Truong said. Last week, nearly a mile away from Kulkarni’s campaign headquarters, Plummer was rallying a crowd of her own at a local restaurant. Similar to the the ethnic diversity of Kulkarni’s team, Plummer’s supporters reflected the diversity of the community she’s running to represent — African-Americans, Latinos and Asian-Americans. "I'm a fighter," said Plummer, who's been in the race since June. Plummer can also point to her own unique political experience — the longtime dentist has worked on political campaigns and lobbied the Texas Legislature regarding adoption and surrogacy rights. In 2016, she worked behind the scenes in Hillary Clinton's presidential campaign as a fundraiser and sat on the campaign's small business task force. Though she said she's campaigning solely in English, Plummer stressed that she’s also helping energize communities in the district who haven’t voted in the past — and credits her identity as an African-American woman of Indian and Arab descent. “The diversity of the district is definitely going to support a Democrat, for sure,” Plummer said. “People are excited about this race. For the first time in history, they have someone who speaks to them." Olson's campaign spokesperson, Chris Homan, told the Texas Tribune that Olson is taking the race seriously. "Pete celebrates the wonderful ethnic diversity of the district and is constantly working with people from all backgrounds to ensure he is effectively serving them in Congress," Homan said. Since Trump became president last year, early murmurs of a potential "blue wave" election in 2018 have transformed into speculation of how big that wave will be. Democrats have focused much of their efforts this year on unseating three of the state's Republicans: John Culberson of Houston, Will Hurd of Helotes and Pete Sessions of Dallas. Though all three Republicans were re-elected in 2016, Democratic presidential candidate Hillary Clinton beat Republican Donald Trump in all three districts that year. Collectively, the Democratic primaries in those districts drew nearly 20 candidates and millions of dollars in fundraising. Those three primary races are each now down to two candidates facing off in the May 22 runoffs. But Democrats are also still battling in several runoffs for congressional districts that Trump won, in hopes that a national mood favoring Democrats will be strong enough to sweep them into office as well. 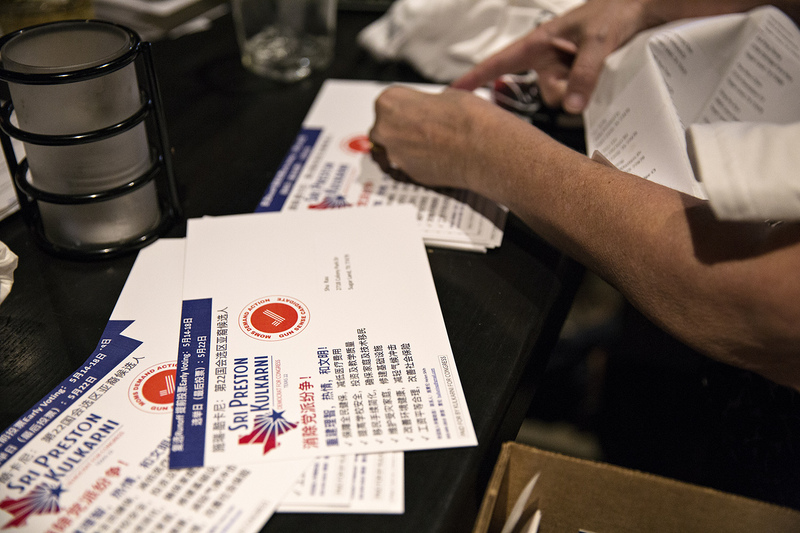 Jacey Jetton, chairman of the Fort Bend County Republican Party, said Olson's district isn't in danger of flipping because Republicans are campaigning aggressively enough to ensure that their supporters turn out in big numbers in November. With a focus on grassroots organizing, Jetton said the energy from red voters remains strong. "We are the most diverse county in the country and people move here from all over the country because of the county Republicans have built," Jetton said. "Republicans are still showing up. We haven’t slowed down one bit." Nathan Gonzalez, editor and publisher of the Washington, D.C.-based Inside Elections, said he's skeptical when campaigns appear to be relying heavily on turning out non-voters, but doesn't rule out the strategy's potential effectiveness, particularly in a climate in which Trump's presidency is prompting an increase in civic action. “I think the burden of proof is on Democrats to show that they can harness the energy from the protests and increasing fundraising and large number of candidates in races into votes," Gonzalez said.